That seems to be the recipe for today. Rain always puts me in the kitchen mood. Today . . . I made my homemade Salsa. I only had about 18 red, ripe tomatoes, but that was perfect. There are probably about 150 large green tomatoes still hanging on the vines. I hope they don’t all decide to “blush” at the same time. Red Raspberry Huckleberry freezer jam was also on my “get done today” list. Check. Since it’s been just a tad bit cooler today, something hot from the oven seemed justified. I like it the day you make it. I like it the day after you make it. I really like it . . . served HOT . . . straight from the oven. I can also eat a big piece! It’s super hot so it doesn’t look pretty on a plate. I don’t wait before I plate it . . . I like it tongue burning hot! This recipe is really, really delicious. I first discovered it on Our Best Bites . . . those girls are super talented! It has both Béchamel sauce and also red tomato sauce. Lots of cheese . . . lots and lots of cheese. Yes, it takes a bit of time but it’s soooooo worth the effort. I saved some of the tomato sauce from my sweet, ripe tomatoes and used my food processor to make some of the tomato sauce. Normally, I suppose I’m just like you and you over there. Our norma ” grab fast” sauce comes from a bottle. I do toss in a few of my favorite seasonings and I always add one tablespoon of sugar. I’m telling you . . . that tablespoon of sugar makes all the difference for some reason. If you have tomatoes in your garden, then you really need to treat yourself and your family and make homemade sauce . . . once in a blue moon. If you live in Italy . . . bottled tomato sauce is probably out-lawed! I’ve never been to Italy, but I’m just pretty sure that this Lasagna recipe would be pretty darn close to real authentic Lasagna. If not, it should be. Try this soon. Make a big pan. Eat it HOT. 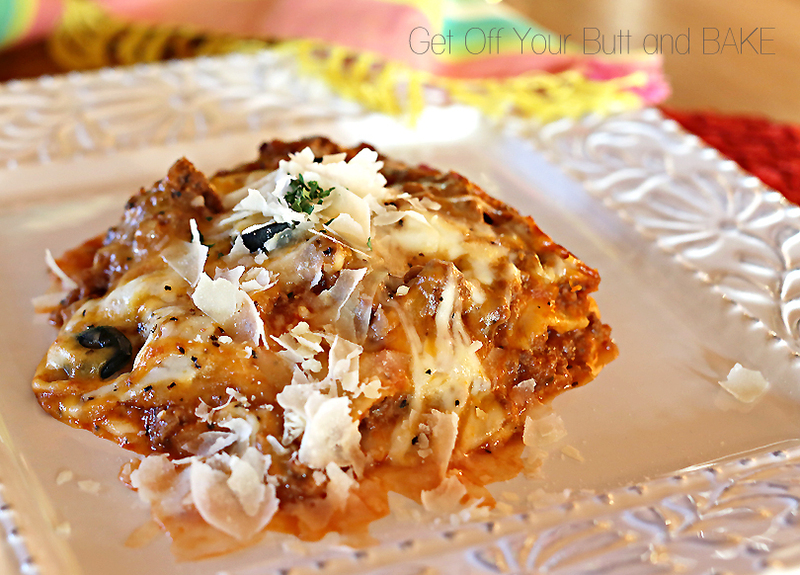 Store the leftovers in the fridge and when you’re ready to make dinner again, let the pan of lasagna come to room temp before you warm it up again. Heat the oven to 275 degrees. Once the oven is at temperature place your pan in the oven. Make sure you have it covered with foil. Bake it just until it’s hot all the way through. Eat it again . . . enjoy it again! See, leftovers are a wonderful thing. In a large saucepan or skillet with a lid, brown ground beef or sausage, or a mixture of both, onions, and garlic until meat is cooked and onions are tender. Add the remaining ingredients to the cooked meat, stir, and bring to a simmer. Cover, turn heat to low, and simmer for at least 20 minutes, stirring occasionally. Remove from heat, and set aside. 1/4 c. (1/2 stick) real butter . . .Do not Substitute margarine. when you make a lasagna with Béchamel sauce, you have a layer of red sauce and then a layer of Béchamel on top. After you’ve made the Béchamel, turn the heat off and set aside. Combine 6 oz. mozzarella (about 1 3/4 c.), ricotta, Parmesan, and the beaten egg in a med. size bowl. Mix well. Using a 1/2 c. measuring cup, spread 1/2 c. of red meat sauce, then 1/2 c. of Béchamel sauce onto the bottom of a 9×13 pan. Add 3 noodles. Spread a layer of the cheese mixture on top of the noodles. Spread 3/4 cup of each sauce over the top of the noodles and repeat so you have 4 layers of noodles. 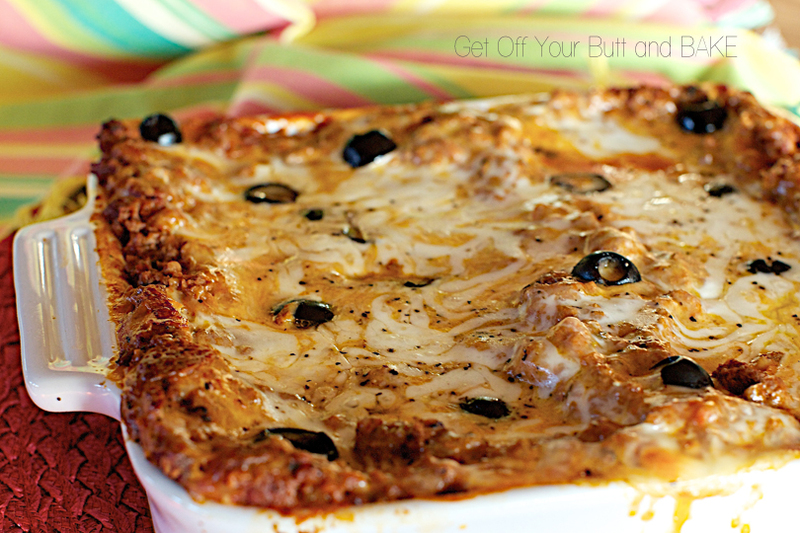 You should end with a layer of red meat sauce and Bechamel sauce on top. Sprinkle with remaining mozzarella, parmesan cheese and if desired sharp or med. cheddar cheese. Cover tightly with foil and bake about 50 to 60 minutes. Remove from oven and remove foil. This is when I like to eat it . . . when it’s runny. If you want it to cut nicely and look pretty, let it stand about ten to fifteen minutes while it sets up. It will thicken up and look prettier on your plate. This should easily serve 8 people!